Looking for a budget 1911? Look no further. From Metro Arms of the Philippines comes an outstanding 1911 with a terrific price and even better performance! Look, you can find a lot of budget-priced Philippine-made 1911s, they're not uncommon…but the American Classic II might be among the best of them, with features you'd find on pricier models. Like the serrated front and rear. Or the throated forged steel barrel that fits nicely into the bushing. Or a beavertail grip safety. Combat hammer and trigger. The list goes on and on. It's built to tight tolerances, much tighter than you'll find on any other in this price range, delivering accuracy that rivals some of the premium "exotics"! 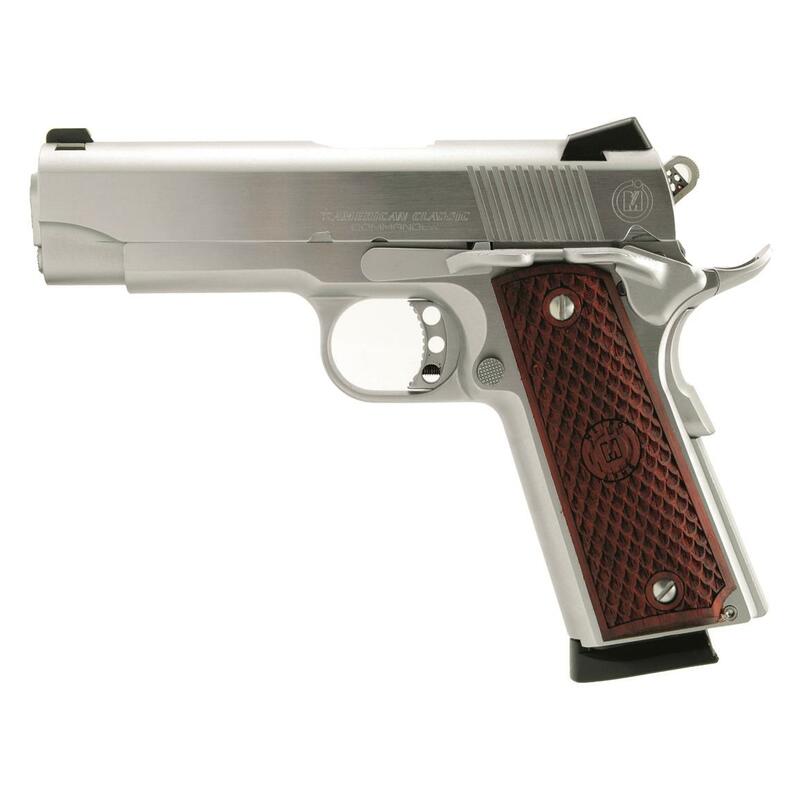 So if you want a 1911, but don't want to pay the typically-high price, take a look at the American Classic Commander 9mm 1911. EI American Classic Commander 1911, Semi-Automatic, 9mm, 4.25 Barrel, 9+1 Rounds is rated 4.0 out of 5 by 1. 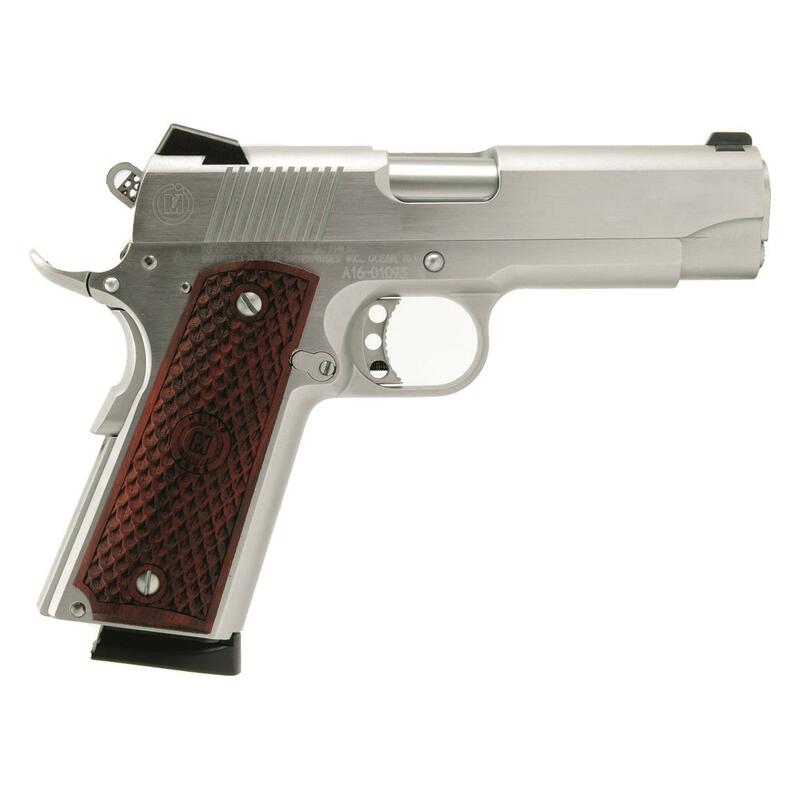 Rated 4 out of 5 by jwb43 from BEAUTIFUL GUN, GOOD QUALITY WORKMANSHIP This is a great 9mm 1911 but it can be ammo picky. It does not like coated bullets and even jams with some factory ammo like Agulia. The sights came out of the box shooting low. There is no adjustment for elevation. But if it fun to shoot and looks so good I have to keep it.